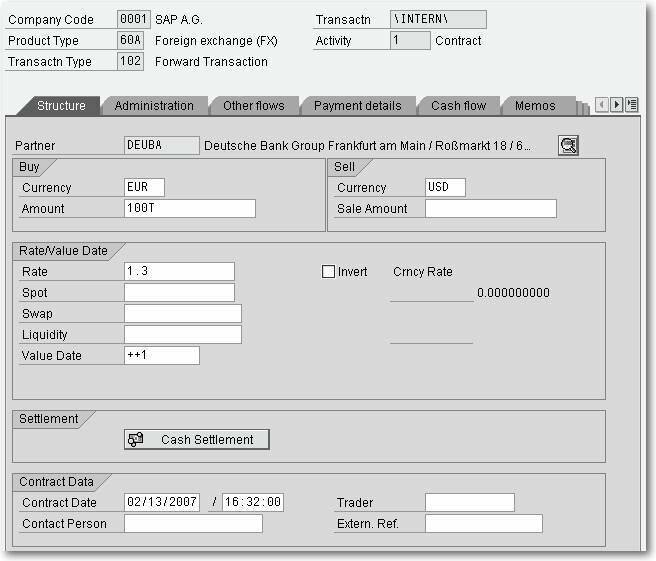 In this book chapter excerpt, you'll learn the basics of managing financial transactions in SAP, including how usage conventions work and how to create a financial transaction using the entry screen. Keeping track of finances is a business-critical function in SAP. 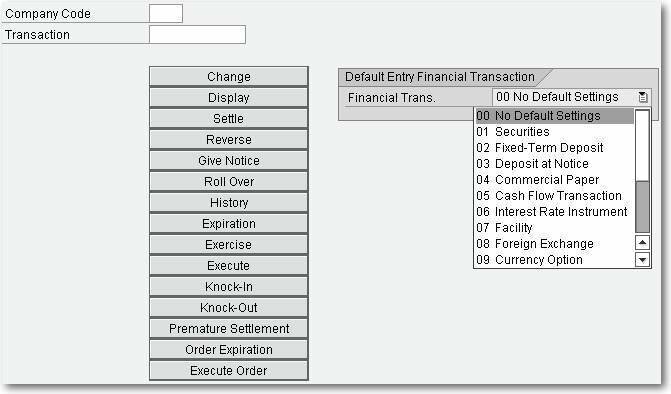 In this book chapter excerpt, you'll learn the basics of managing financial transactions in SAP, including how usage conventions work and how to create a financial transaction using the entry screen. Financial transactions are agreements on financial rights and obligations. Their operative flow is managed within transaction management. some special topics that go beyond the basics of transaction management. This chapter does not include any menu paths for system Transactions. corresponding subfolder — depending on the section you are reading. to read. We will only specify the path in a few exceptional cases. type, product type, partner, and possibly some other specific data. structure data that distinguishes the different financial instruments. financial instrument is based and how the data is set out. any further instruction being necessary. Both the flows and the conditions include a great deal of data information. whether the date falls on the last day of the month. February 28, 2007, inclusive, interest is applied to February with 28 days. inclusive and month-end, interest is applied to 30 days. only change preassigned values by modifying the standard SAP coding. payment details from the standing instructions for a business partner). relative date entry (see Table 3.1). 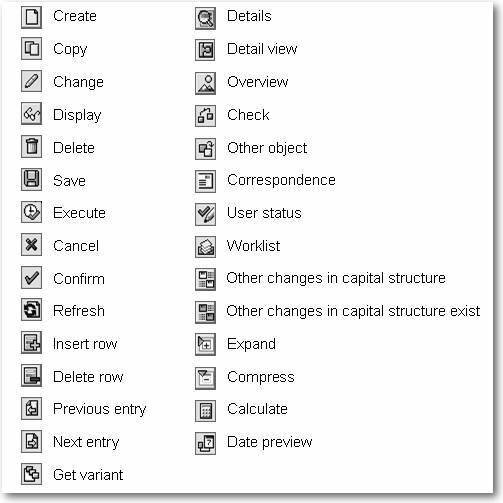 Shortcuts can be used alone or they can be combined (see Table 3.2). preassigned with the abbreviations listed in Table 3.3. Here too, it is possible to combine shortcuts (see Table 3.4). The shortcut is calculated after you press Enter or execute an action. You can check whether it corresponds to the required entry. abbreviation for the amount (see Figure 3.2). section describes the most important system Transactions. listed in the menu, however. 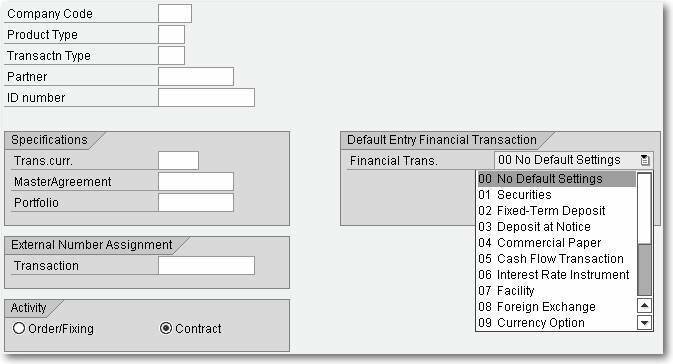 only view input help relevant to that specific financial instrument. Transactions, although they are not listed in the menu. 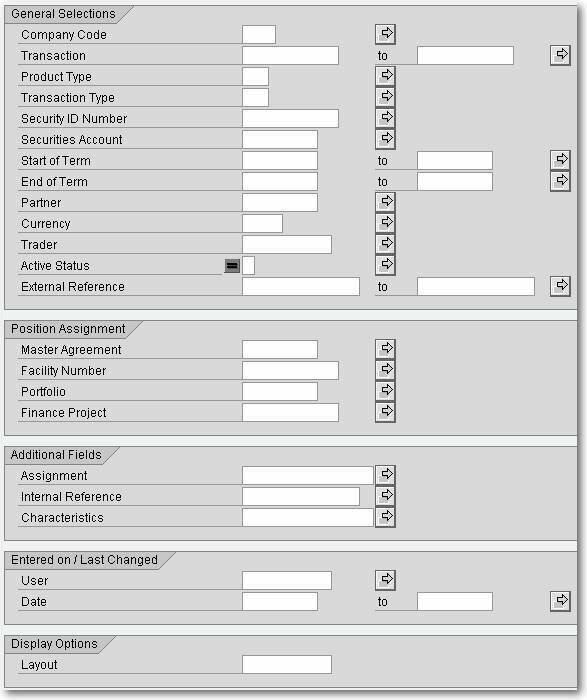 option to navigate directly from the list to financial transaction processing. selection options — see Figure 3.5). body text (see Figure 3.6). with rollover, and interest capitalization.